This week marks the beginning of a kind of “liturgical detour.” We have been listening to Saint Mark’s Gospel during this liturgical year (Year B). 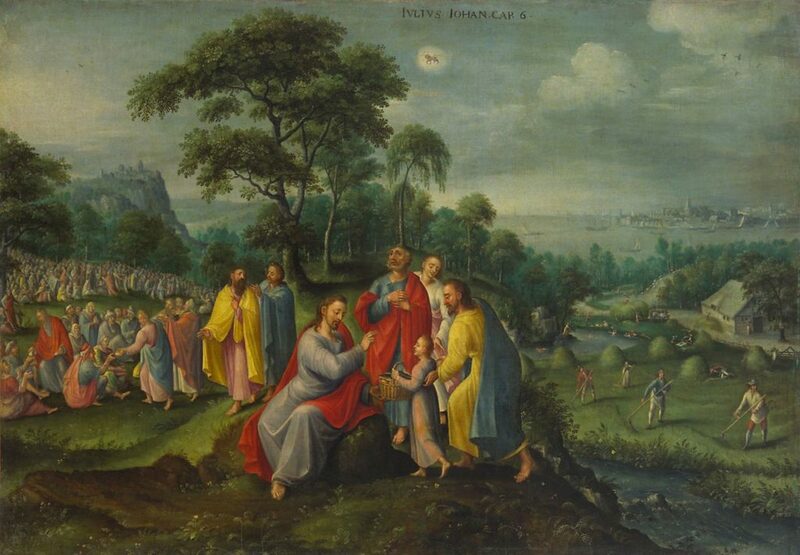 Today we begin to hear a long section from John’s Gospel, starting with the miracle of the multiplication of the loaves and fishes. This miracle story is a prelude to the Lord’s statements that we will begin hearing in a few weeks, in which Jesus refers to himself as the “bread of life.” Each week we witness a miracle at Mass. We do not see a multiplication of loaves before us. What our eyes of faith allow us to see is the miracle of the transformation of common elements—bread and wine—into the Lord’s Body and Blood. Once we have received the Lord, the multiplication begins, for in the Eucharist we are strengthened to multiply our efforts to feed the poor, shelter the homeless, and bring comfort to the despairing. Copyright © J. S. Paluch Co., Inc.
Stay up-to-date with the latest happenings at your parish and help us save trees. Sign up and receive the parish bulletin via email. Master, It Is Good To Be Here, Can We Stay? Website by Concierge Web Co.